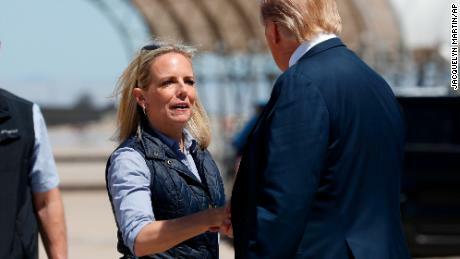 Senior administration officials also told CNN that in the last four months or so, the President has been pushing Nielsen to enforce a stricter and more widespread “zero tolerance” immigration policy — not just the original policy started by former Attorney General Jeff Sessions and undone by the President once it was criticized — that called for the prosecution of individuals crossing the border illegally between ports of entry, resulting in the separation of parents from children. 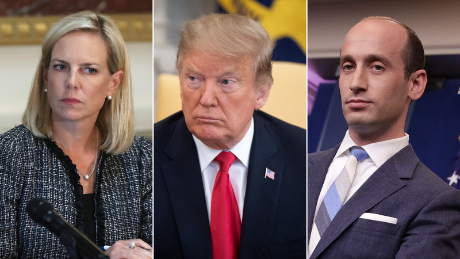 Last night, on the second floor of the East Wing of the White House residence — in a room called the yellow oval — Nielsen, Mulvaney and the President met. Nielsen tried to present a path forward that was legal and in compliance with US laws but the President said to her, “This isn’t working.” And Nielsen did not disagree.